I have no idea why i never came across this bottle before?? 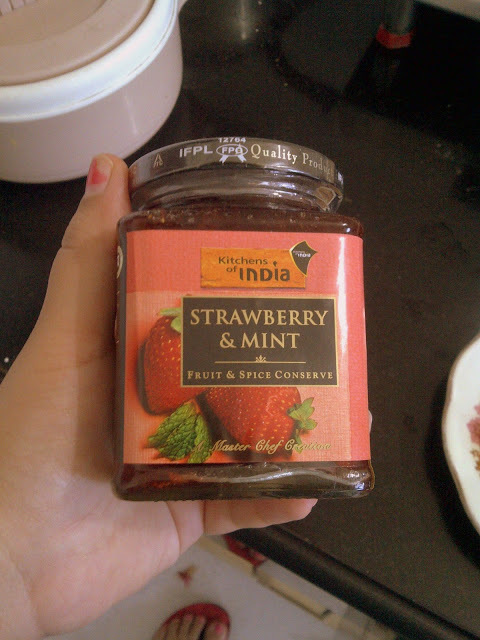 well, i simply asked kitchens of india to sent me this because i like the idea of strawberry and mint together! had no clue it would taste just so fantastic!! 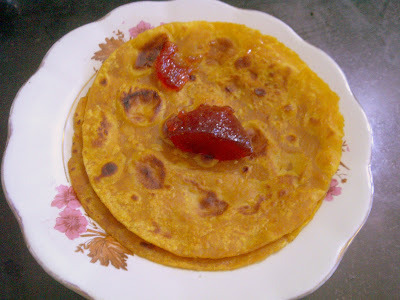 i tried it with thepla this morning… well, what else do u expect for breakfast in a la-la gujju house!!? while the morning started off with jam and thepla… it got worked up again the evening with some bread slices a.k.a the angrezi style! it was delicious this way too… and i really dont like to put on dollops of it on my breads n theplas… i like it just a little for the taste. 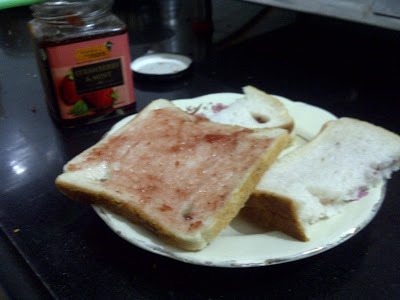 what i liked about the conserve was the strawberry wasnt extremely sweet! and the hint of mint gave it a lip smacking taste! 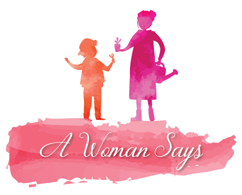 i am glad kitchens on india sent it to me. time to try one more package from the box tomorrow!